On November 1, 2002, John Quigley climbed into the branches of a 70-foot-tall oak tree estimated to be 150 to 400 years old. He stayed perched there until he was removed, 71 days later, to allow a housing developer to cut down the tree. That was a short stay, however, compared with Julia Butterfly Hill's sojourn in a 600-year-old redwood. In the year 2000, Hill created a perch 180 feet above ground and didn't come down to Earth until just over 2 years later, when the Pacific Lumber Company agreed to spare that tree and others in its immediate vicinity. What prompts some people to tree-sit or protest in other ways against the removal of trees? Clearly, one motivation is their admiration for the sheer longevity of these organisms, which have survived in their environments for decades and even centuries, during which a great deal of human history has taken place. 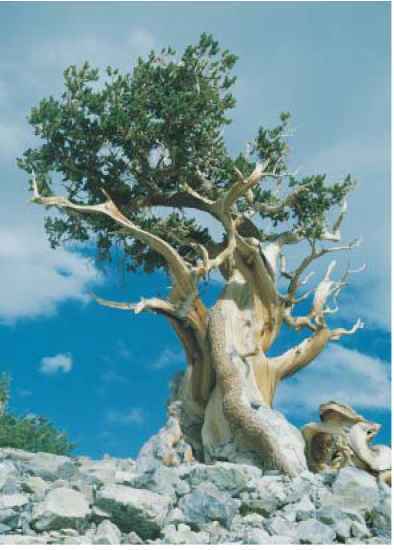 The oldest known individual plant is a bristlecone pine that has lived for more than 4,900 years—almost 50 centuries. In contrast, it is doubtful that any animal has ever lived much longer than 2 centuries. This longevity is even more impressive when it is understood that plants cannot move from site to site to avoid danger or environmental challenges. Even though plants are not motile, the extreme ages achieved by some trees prove that plants can nevertheless cope successfully with their environment. The plant body creates and maintains an internal environment that differs from the external environment. Plants accomplish through growth some of the same things that animals achieve through mobility. Growing roots, for example, can reach into new supplies of water and nutrients. By growing, stems and leaves rise out of shaded areas into the sun to obtain energy. Although plants do not need to obtain complex substances like vitamins from their environments as animals do, they must nevertheless obtain nutri-ents—not only the raw materials of photosynthesis (carbon dioxide and water), but also mineral elements such as nitrogen, potassium, and calcium. Seed plants—even the tallest trees—transport water and minerals from the soil to their tops, and they transport the products of photosynthesis from the leaves to their roots and other parts. An Ancient Individual Bristlecone pines (Pinus longaeva) can live for cen-turies.The oldest known living organism is a bristlecone pine that has been alive for almost 5,000 years—long enough to have witnessed all of recorded human history. Plants also interact with their living and nonliving environments. They respond to environmental cues as they grow and develop. Their responses are mediated by chemical signals that move within cells and throughout the plant body. 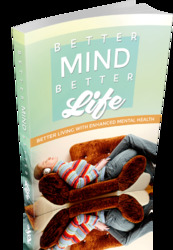 Among the resulting changes are ones that lead to growth, development, and reproduction. Because we can understand the functioning of plants only in terms of their underlying structure, this chapter focuses on the structure of the plant body, with a primary emphasis on flowering plants. We'll examine plant structure at the levels of organs, cells, tissues, and tissue systems. Then we'll see how organized groups of dividing cells, called meristems, contribute to the growth of the plant body, both in length and, in woody plants, in width. The chapter concludes with a consideration of how leaf structure supports photosynthesis.